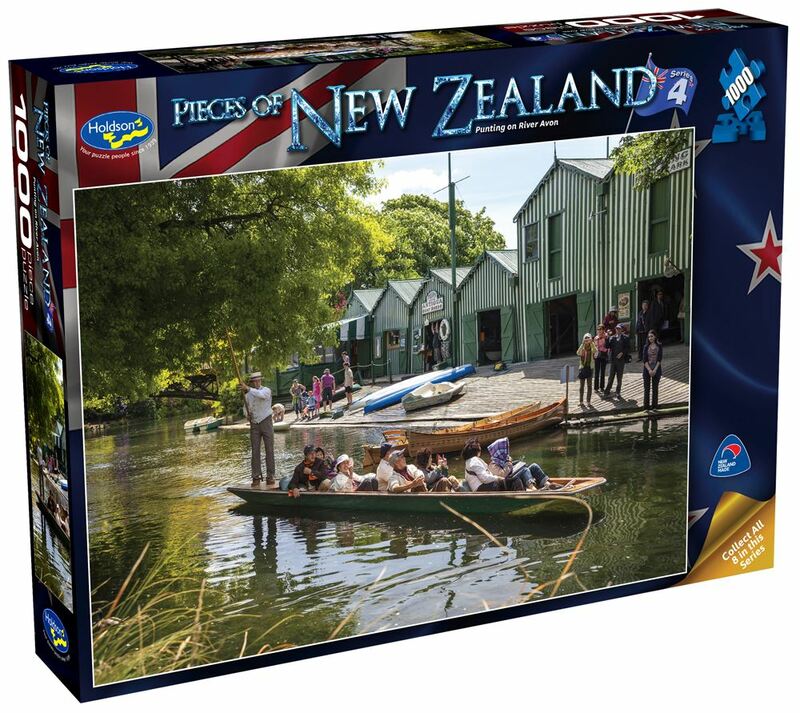 Photographer's Sarah & Todd Sisson have brilliantly "snapped" eight New Zealand locations in the Holdson Pieces of New Zealand 4 1000pc puzzle series. Capturing destinations throughout the North and South Island, each photo showcases exquisite colour and detail. Titles include: Coromandel Pohutukawa, Church Of The Good Shepherd Tekapo, Gisbourne Lookout, Farmland Sheep, Misty Sunrise Lake Matheson, Mitre Peak Mossy Rocks, Punting On River Avon and The Octagon Dunedin. Each design sold separately. Collect all four designs. Age 8+ years. Made in New Zealand by Holdson. Approximate puzzle dimensions: 688mm x 493mm. Box size: 270mm x 370mm.